Great News For The Terminator Fans! Sarah Connor ( Linda Hamilton ) Is Back For The Terminator 6 Movie. The Blockbuster Movie Will Be Back Again Soon. (although we did hear her voice in recordings featured in Terminator Salvation). However, she’s set to return for Terminator 6, and the first images of her have leaked online. There’s not much to say here other than she looks like a total badass (as always), and I’m curious to see how they’ll bring her character into the narrative. It seems like the plan here is to just ignore everything that happened after Terminator 2, and follow a new timeline that allows Hamilton and Arnold Schwarzenegger to appear, but also hand off the series to new stars. Of course, this kind of handoff was also the plan with the reviled Terminator Genisys and we all know how that turned out. 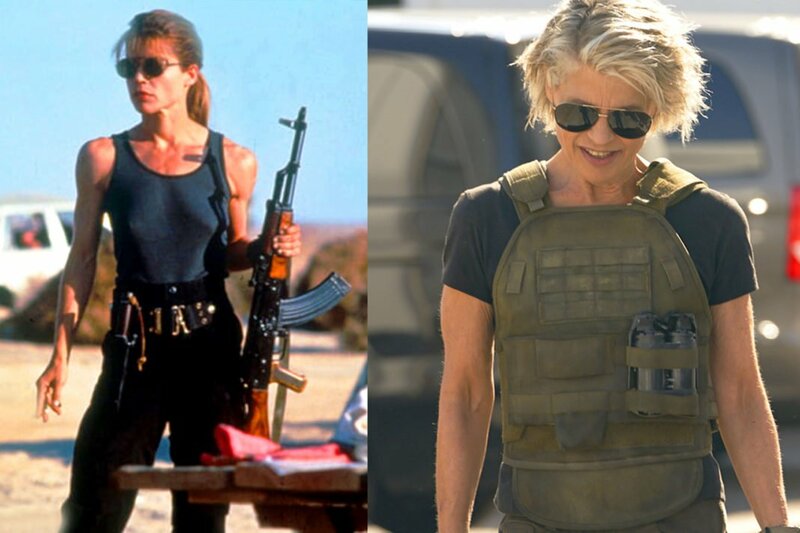 Definitely it will be a great new come back for Linda Hamilton as Sarah Conner in the coming Terminator 6 movie.